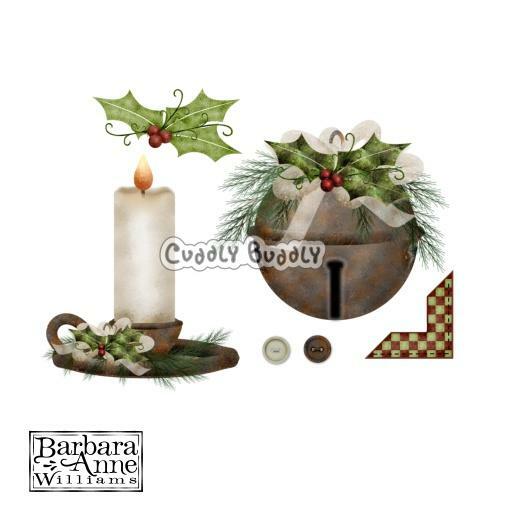 Holly by Barbara Anne Williams is a nostalgic collection of buttons, a rusty jingle bell, a candle and rustic holly embellishment. These images are perfect for greeting cards, gift cards, and tags for your holiday table! This full color collection features transparent backgrounds making it easy to use in all of your projects.